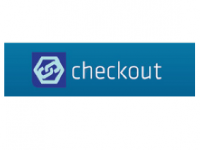 Checkout.fi module integrates Checkout.fi Payment Service Provider with CS-Cart shopping cart system. Checkout.fi Payment Service Provider is based in Finland and supports all major Finnish banks and credit cards as payment methods. Checkout.fi module for CS-Cart is developed according to the documentation that you can view in Downloads tab. The module implements only basic integration and doesn't include recurring billing and refund process. You need to have a Checkout.fi account. This add-on is compatible with CS-Cart Professional 2.2.4 - 3.0.x. 1. Download the archive with the "Checkout.fi" files.